Selling your truck in Melbourne ? I can inspect your truck today. LIMITED SPOTS AVAILABLE! Wouldn’t you rather be enjoying your avocado on toast and your perfectly made espresso rather then stressing out about selling your truck? From time wasters that never turn up to low ballers, selling your truck privately can very quickly become a nightmare. At Are You Selling we take great pride in making the entire process, quick and stress free so you can go back to enjoying the simpler things in life. As long as your truck is in good shape and the make is from 2004 onwards, we’ll be happy to take it off your hands! We offer you the best price for your truck, guaranteed! If you’re happy with the deal you’ll leave with cash in your pocket on the same day! So don’t wait any longer, sell your truck with the experts! 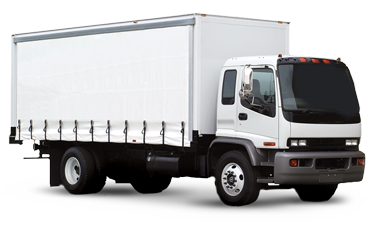 Need someone to buy your truck in Melbourne ASAP? You can rely on the experts at Are You Selling to get the job done, you need the cash, we want the truck – a match made in heaven! Whatever the reason may be as to why you may want to sell your truck, we want to make sure the process is smooth with as little hassle as possible. Not only are we the experts but we also guarantee the best price for your truck! Your services are offered Australia-wide so not matter where you are we can help! Don’t waste your precious time trying to sell privately, call Are You Selling today for our risk-free service that takes the stress out of selling your truck. If your truck is a 2004 make or newer and under 160,000 kms, fill in the form for a FAST QUOTE!